Landscapes. 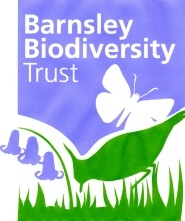 Within an area roughly eight miles from north to south and 17 miles from east to west, the richness of the biodiversity of Barnsley owes its existence to the area’s landscapes and range of habitats. These result from differences in soils, altitude, rainfall and not least changes introduced by man. The land in the borough falls from 500 metres above mean sea level in the west on the Pennine plateau to 15 metres above mean sea level in the east of the borough near Bolton-on-Dearne. The open moorland of the Dark Peak extends into the west of Barnsley with heather-clad slopes and cotton-grass covered peat mires seen from the Woodhead pass, Dunford Bridge and Langsett. Upland farmland is found from Langsett towards Penistone and around Ingbirchworth, with stone walled fields, grassland and heaths, laced by a chain of reservoirs. Wooded farmland between the villages in the rolling hills to the west of the M1, and in a swathe of country east of the M1, has meadows, pastures and arable fields bounded by hedgerows, scattered trees, and woodlands. Historic parklands are also found in this landscape. Further east the land use becomes more arable. Small upland streams from the moorlands run through steep sided wooded valleys.in the west of the Barnsley area. The lower reaches of the rivers Dearne and Dove flow through broader valleys and flood plains where there are wetlands of increasing national importance. Old railway tracks criss-cross the borough providing corridors for wildlife as well as trails for walkers and cyclists. And industrial activity including mining and quarrying has had an impact on the landscape, with large spoil tips and flashes caused by subsidence. Reclamation and natural succession of this previously developed land has often benefited wildlife. Finally, gardens, school grounds, and other urban green spaces provide important places for people to experience nature. Impact of man. The landscapes and habitats of Barnsley have in turn been affected by man; even the moorlands would have at one time been covered with trees and scrub. Clearance, burning and grazing as well as other forms of development have created the landscapes and habitats we have today. 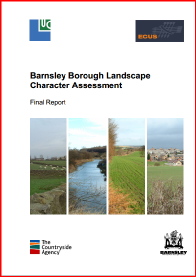 South Yorkshire Historical Environment Characterisation, produced by South Yorkshire Archaeology Service, divides Barnsley into 20 different zones based on how man has affected the environment over the centuries - the key historic developments that have left their mark on the area. 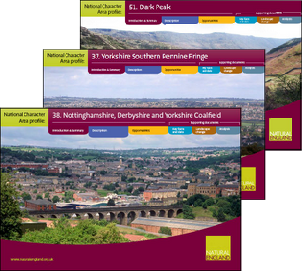 and NCA 38 … Yorkshire Coalfield area covering the rest of Barnsley. The Natural England profiles cover the landscape, habitats and much more. It’s the underlying geology -the millstone grit series of the Dark Peak, the coal measures which underlie the main part of Barnsley, and the alluvial deposits on the river floodplains - that has the major impact on the landscapes and habitats of Barnsley. The soils created vary in their acidity, nutrient content, and ability to hold moisture. The blanket of peat on the upland plateau of the Dark Peak creates its own habitat and then the natural vegetative cover changes as the terrain goes from the Dark Peak’s millstone grit edges and slopes to the sandstone brows and shale valleys of the coal measures. 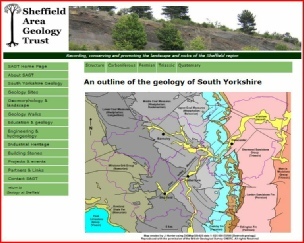 The rivers Don, Dearne and Dove run through the valleys and add sediments to the ‘solid’ geology.